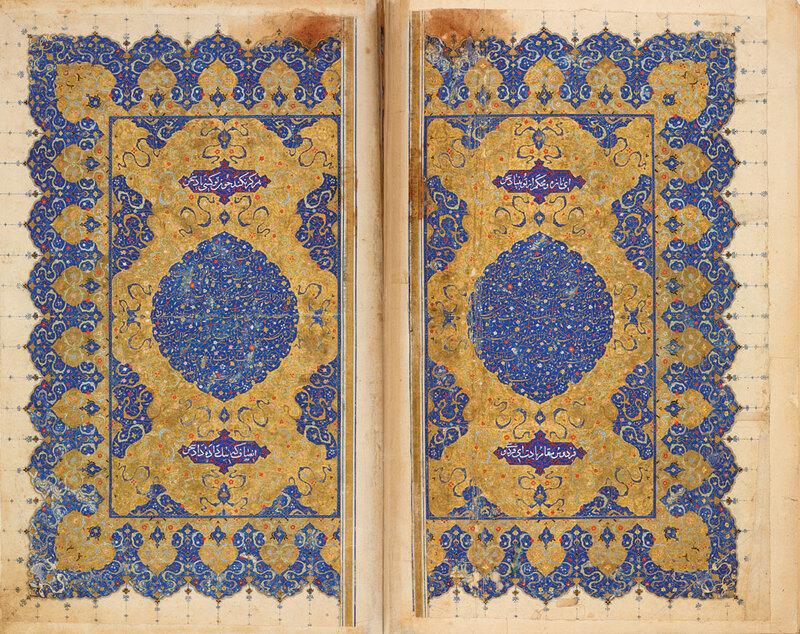 This 16th-century manuscript of the Shahnama of Firdawsi is part of Spirit and Matter at Dallas Museum of Art. Wed 23 – When the Muslim faith ruled a swatch of the world ranging from Spain to central Asia, their artists and artisans were known for their skill working with paper, ceramics, jewelry, metal, and fabrics. You can glory in their achievements in Dallas, where Spirit and Matter: Masterpieces From the Keir Collection of Islamic Art will run thru Jul 31, 2016, at the Dallas Museum of Art, 1717 N Harwood St, Dallas. Tickets are $5-10. Call 214-922-1200. Thur 24 – Enough with the East Coast bias when it comes to Fathom Events’ fine arts programming! Tonight they’ll take us west to see San Francisco Ballet’s performance of Romeo and Juliet. Helgi Tómasson’s staging of Prokofiev’s setting of the tragedy has been widely acclaimed ever since its debut in 1994. The broadcast is at 7pm at various movie theaters; check Calendar for locations. Tickets are $16-18. Call 818-761-6100. Fri 25 – Even the original Oktoberfest in Munich has taken to starting up in September, so if it’s good enough for the Bavarians, it’s good enough for us. Panther Island’s Oktoberfest includes German food, Alpine dancing, a 15-mile bike ride, and live music by the likes of Brave Combo and Third Generation. The festival runs Thu-Sat at Panther Island Pavilion, 395 Purcey St, FW. Tickets are $3-12. Call 817-698-0700. Sat 26 – The Amon Carter Museum has finally finished its renovations, which means you’ll have a lot less trouble finding a parking space there now. It also means that the museum is throwing a Party on the Porch with music by Quaker City Night Hawks and a whole mess of food trucks and drinks on offer from Bar Louie. This should light up the Day in the District festivities going on today. The party is 5-10pm at 3501 Camp Bowie Blvd, FW. Admission is free. Call 817-989-5030. Sun 27 – How do you run an air race? One way is to stick 82-foot-high pylons in a vast course and have ace pilots try to navigate them while flying at 230 miles per hour. You can catch the action when the Red Bull Air Race World Championship comes to Texas Motor Speedway, the first American stop on the racing circuit’s world tour. The race runs Sat thru today at 3545 Lone Star Cir, FW. Tickets are $29-59. Call 817-215-8500. Mon 28 – After looking headed for certain disaster in June, the Texas Rangers’ 2015 season is ending in triumph with an unlikely run to the playoffs. They’ll look to round into postseason form against the Detroit Tigers, a gutted team that’s looking to rebuild heading into next year. The series runs today thru Sep 30 at Globe Life Park, 1901 Rd to Six Flags, Arlington. Tickets are $13-210. Call 817-273-5100. Tues 29 – Previous editions of the International Computer Music Conference have been held in Athens, Belfast, Barcelona, and Copenhagen. 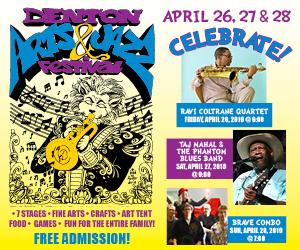 This week, the 41st version of the annual event will take place in Denton, to discuss the future of robotics and 3D printing in music, among other topics. You can drop in for stimulating discussions Sep 28-30 at Rubber Gloves Rehearsal Studios, 411 E Sycamore St, Denton. Admission is free. Call 940-387-7781.